When it comes to marketing in the financial services industry, your marketing automation strategies will be the glue that keeps your sales ticking over. But the reality is, most companies have their marketing automation switched on, but are far from maximising the actual power it offers. 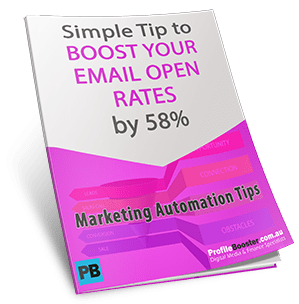 Too often we see companies sending out regular emails, maybe a 1 part email follow up but are missing the power of effective marketing automation strategies. When it comes to marketing automation platforms in the financial services industry, three platforms stand out as the most widely used. Very bold claims, but I can vouch for this to be 100% correct. If you are in the financial services industry and not using marketing automation, then you are getting left behind. So let’s dive in and take a look at three marketing automation strategies to boost your team’s sales and engagement levels. Imagine being able to send the hottest leads to your sales teams. You are no doubt aware of the fact that engagement on your website is a reliable indication of interest level. The more engaged someone is in viewing your content, the greater the likelihood they will be open to your sales messages. Marketing automation provides the opportunity for something known as lead scoring. This means you can give each lead a score based on how engaged they are on your website. For instance, every page they visit on your site could be worth 5 points. Downloading an eBook could be worth 50 points. Signing up for a demo could be worth 100. Your sales team can then pick up a new lead and view their score. The higher the score, the more engagement that person is likely to have in ongoing conversations. Not only is it useful from an engagement point of view, but your sales team can structure their time to focus on the leads with the highest scores. The engaged prospects are keen to carry on the conversation and get their questions answered. Your team’s time is best focused on them. Those with a low engagement score are likely to ignore your calls as they are still in the ‘looking phase’. Marketing automation platforms also allow you to run segmented reports. Let’s say you are running a special report on the S&P 500 index. Imagine being able to send a targeted email just to those people who have viewed that page. Facebook custom audiences or something better? In Facebook, you can create a custom audience, pixel the user and run a specific ad on the S&P500 report. Instead, you can pull a full list of every person in your database who has hit the key pages on your website focused on the S&P500 index. Click play on the video below to see how powerful segmentation is. For example, you may have a handful of blog posts over the year which you’ve analysed the S&P500 index. You will also have a dedicated page on the S&P500. Now you’ll have a list of URLs and hundreds, if not thousands of people who have hit those pages. Using the power of segmentation with your marketing automation platform, you can send a dedicated email just to those who have shown interest in the S&P500. I don’t know about you, but if I were interested in trading the S&P500 index, an email highlighting a special report about it would grab my attention. Provide this list of interested S&P500 traders to your sales team and get them to open a conversation around the index. There are two types of conversation starters. The more specific and targeted conversations you can have with your clients the better. To be fair, the best sales people will ask probing questions to find the interest of the prospect, but they might spend three or more minutes asking questions to find their interest. If you know their interest before the phone call, you can be more targeted and start talking about what they are interested in, sooner. Nothing gets traders more excited than volatile markets. Making money in trading is challenging when markets are moving sideways. Your team (analysts and sales staff) will know what commodities, indices or FX pairs are running right now. Crude Oil recently fell 18% in 18 days. What if your head analyst could create a basic report on Crude Oil. Some key technical levels along with the fundamental drivers affecting the commodity right now. Using marketing automation, you can pull a segmented list on all those clients who have hit your commodity pages, your crude oil page and any blog posts associated with Crude. For some, you may have your trading data via MT4 integrated with your marketing automation platform. Now you can pull a list of all those who have traded Crude Oil in the last 12 months. Or all those who have traded commodities in the previous 12 months. Create an email focused on your new research and email it out to your hyper-targeted email list. I don’t know about you, but if I was trading Crude Oil (or did in the past) and I received an email about the opportunities on Crude Oil, I’d open it. Traders love to confirm their opinions, especially when they have open positions. Run this strategy, and trading volumes will pick up. Put this idea to the test and see if there is a jump in trading volume. The only downside to this strategy is your targeted email list get a handy piece of research on a product they traded recently. Then they don’t trade. You are still adding value. I cannot see how it is possible to lose in this scenario. The double whammy is the ability to focus your email approach to a list who want the info. Secondly, you will be motivating them to trade where the action is, thereby increasing trading volumes. Hopefully, these three marketing automation ideas can get you thinking about how you can maximise your emails and your sales team. We’ve been discussing client retention ideas recently, and the three methods above go a long way to improving your chances for clients to stay with you longer. Nothing screams ‘get me outta here’ faster than being bombarded with too many untargeted emails. The more specific you are, the more tailored your message, the greater the chance you’ll have of winning the client for life. If you need help with your marketing automation, email marketing follow-ups and smart ways to communicate with your list, feel free to reach out. We’ll help find the extra money lying around in places you didn’t even know to think of. Get in touch today.